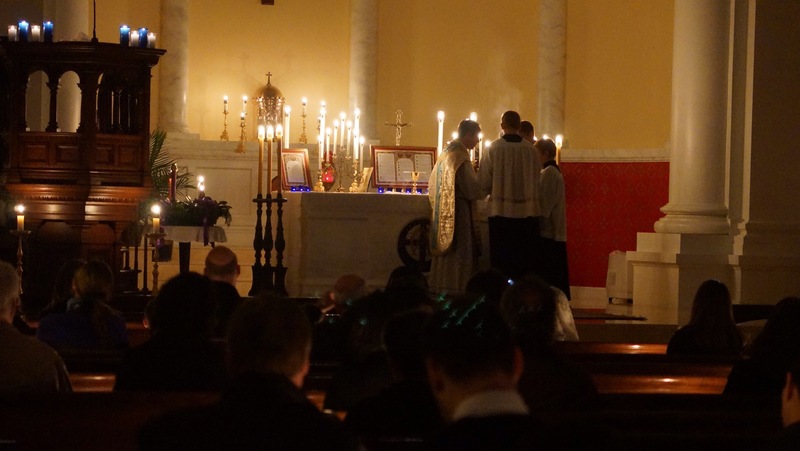 On Saturday, December 20, the second Rorate Coeli Mass of this Advent season was offered in Charlotte, North Carolina. 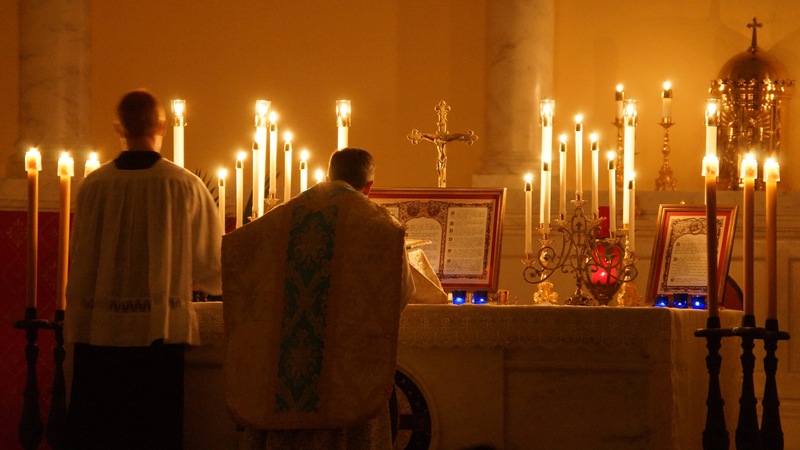 As I have written about previously, this liturgical tradition returned to the diocese in 2012 following an absence of more than forty years. 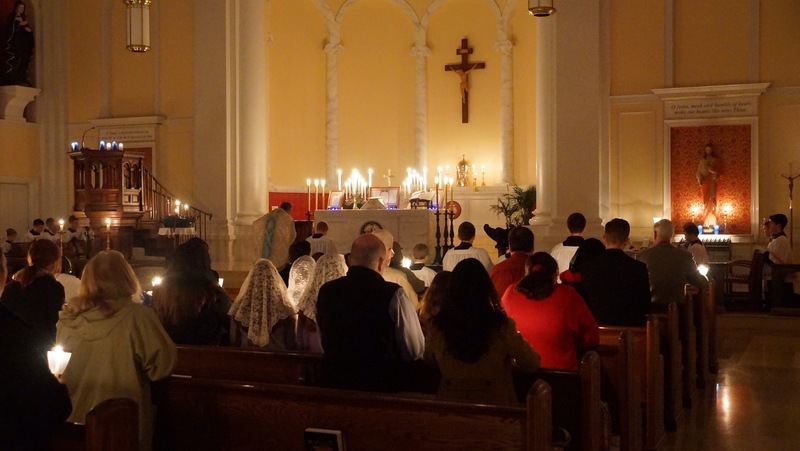 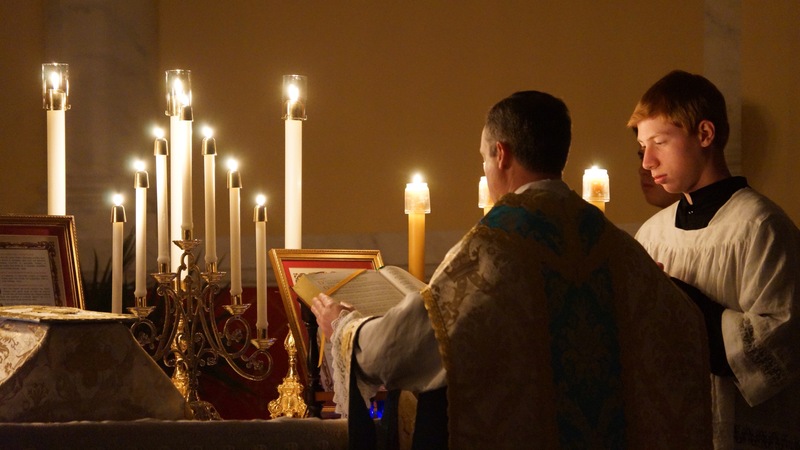 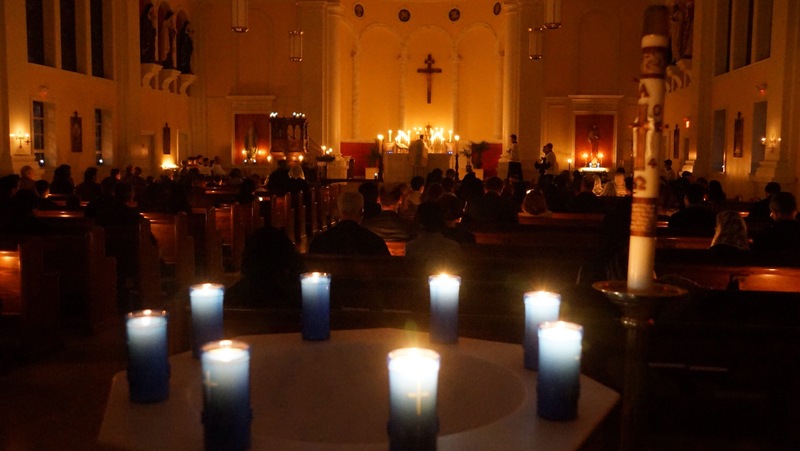 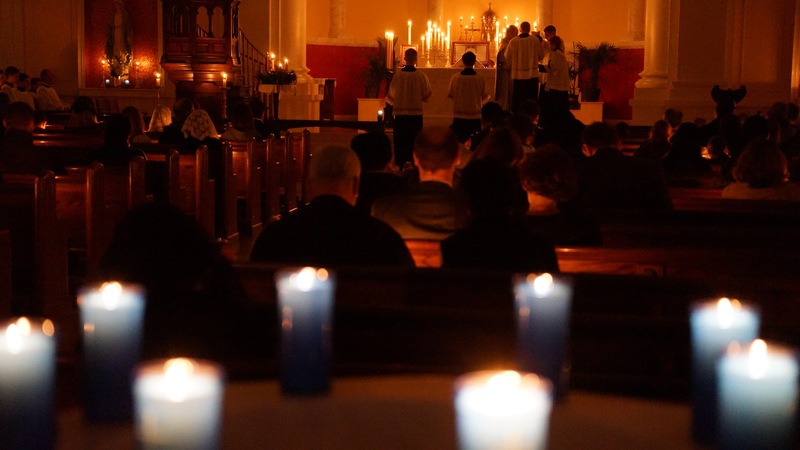 A pre-dawn Mass offered in honor of the Blessed Virgin Mary during Advent, the Rorate Mass is illuminated solely by candlelight, symbolically witnessing to He who will soon be born, the true Light of the world. 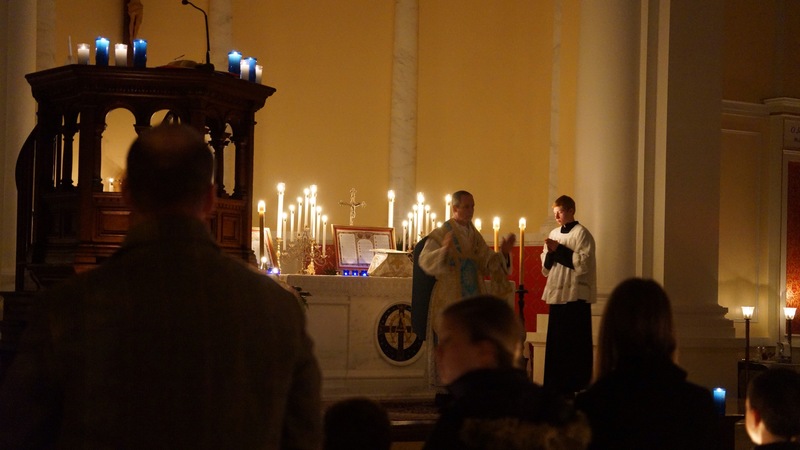 Saturday’s Missa Cantata was offered by the Very Reverend Timothy S. Reid, pastor of St. Ann Catholic Church. 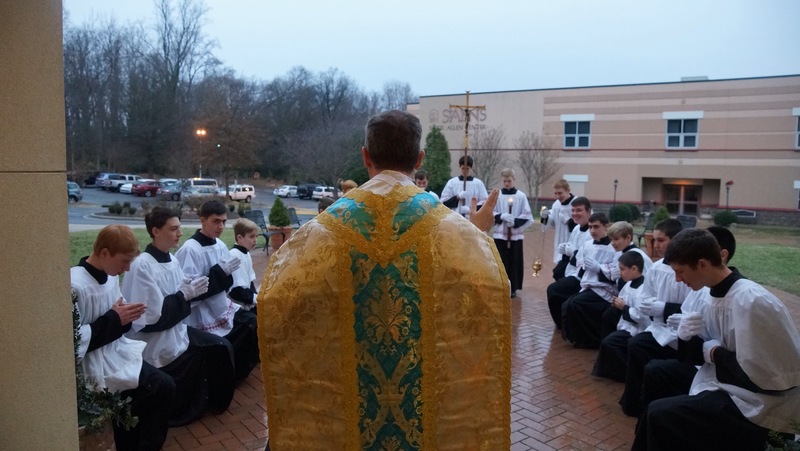 An army of eighteen altar boys, St. Ann’s Latin Choir and over a hundred faithful braved the cold and rain for the 6:30AM start time. 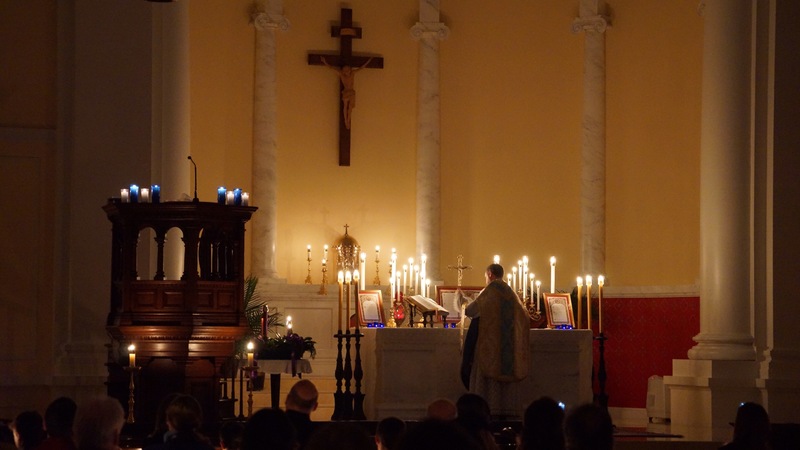 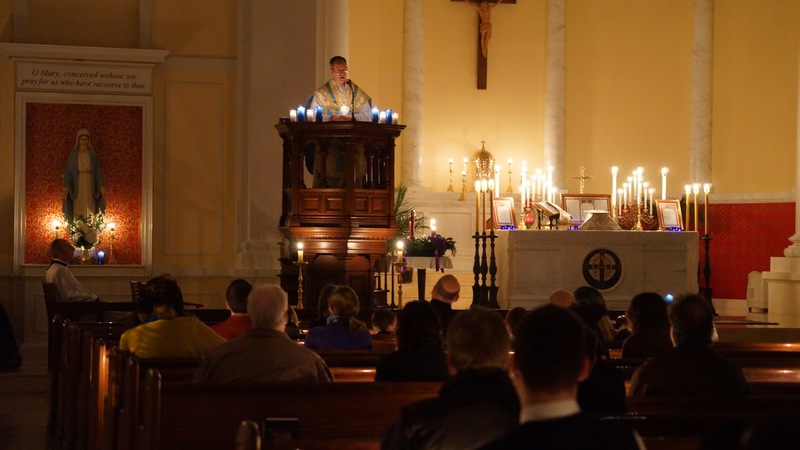 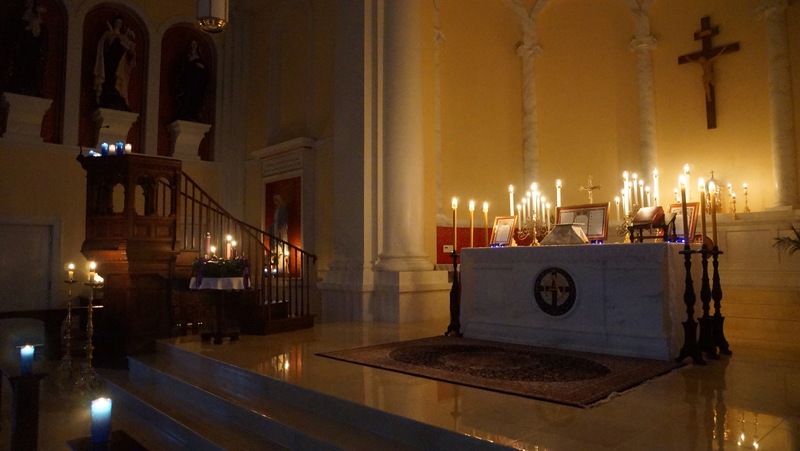 The below photos are courtesy of Mr. John Cosmas of the Charlotte Latin Mass Community.